Today developer usineur has released a new version of ZeldaNSQ v1.0.1 for the Playstation Vita. Check out the release notes, changelog and the download link provided below. 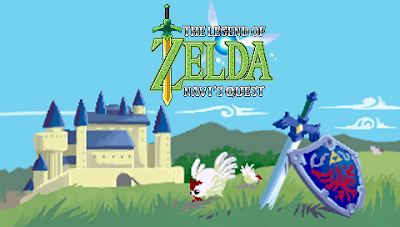 ﻿Zelda: Navi's Quest is a sequel game that follows the Vincent Jouillat's Zelda fanmade trilogy. Hyrule Kingdom had been in peace since the Hero Link had defeated the evil forces which threatened it. Once his quest was complete, he ran away from honor and fame and crossed the seas, hoping to find unknown territories where he could quench his thirst for adventure. He heard about a legendary place, the most popular seaside destination at the time: the famous Fairy Island. Was it his hero instinct that made him sail there in all haste? However as he approached the island shores, Link was attacked and beaten by a terrifying sea monster. When in game, press "Select" to display help. English and french translations are currently supported. Have fun, do not hesitate to report me any issue you can found.